You’re probably asking yourself, what’s Hindu lemonade? 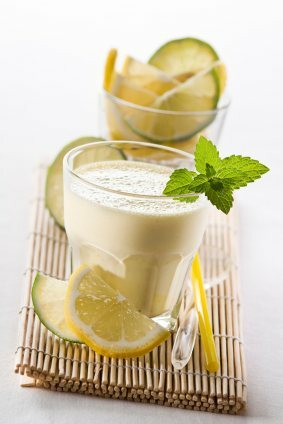 It’s not lemonade that you’d typically buy from the store or make at home, it’s far superior, from a health standpoint. Hindu lemonade is a fermented, probiotic rich beverage, in the same class as kefir and kombucha. It’s extremely easy to make and only requires a few ingredients: a couple lemons and limes, sucanat, liquid whey, nutmeg, and water. Ditch the sugary drinks and opt for this delicious fermented beverage. It’s a sweet drink you can feel good consuming and giving to your kids. It also serves as a great base for your smoothies. Hop on over to the The Healthy Home Economist for a great how to video demonstrating exactly how to make your own Hindu lemonade at home. This might be the ultimate hot weather smoothie to cool you down. It’s so tasty and refreshing you’ll want to make more than one serving, at least I usually do. Enjoy! Add the ingredients into your high speed blender and blend on high until the desired consistency is reached, usually around for 30-45 seconds. Please leave a comment below if you try this probiotic rich smoothie. Happy Blending!